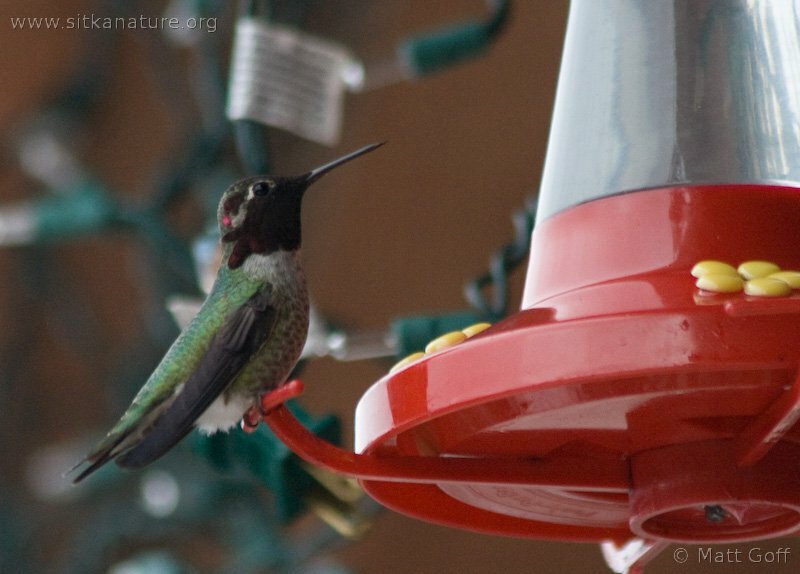 Last Friday through Monday was the Great Backyard Bird Count. I tried to get out at least a little bit each day to see what was out there. 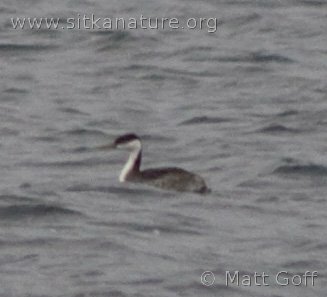 I was hoping that as a community Sitka would best last year’s 51 species. To that end, I made an effort to try to find some birds that might be easily overlooked, though as it turned out, I think it was maybe better to say that they found me. Sitka species count this year has surpassed last years by a comfortable margin. As of this time, the count is at 66 species, though there may be an additional species or two added if some are pending a check by the coordinator due to an atypical occurence. 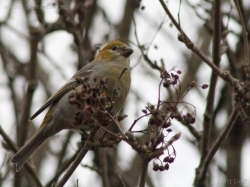 Sitka’s species list this year was given a boost by the presence of several unusual species this winter. Some have been here since last Fall, while others apparently showed up more recently, or at least were only obeserved recently. Species that are not often reported during winter in the Sitka area, but have been seen repeatedly this year include Cackling Goose, Anna’s Hummingbird, Northern Shoveler, Western Grebe, Rock Sandpiper, American Tree Sparrow, Bohemian Waxwing, and Common Redpoll. More recent arriving unusual birds included Savannah Sparrow, Fox Sparrow and a Downy Woodpecker. It was also fortunate that the lake had opened just enough for a lone Ring-necked Duck to show up on Friday. 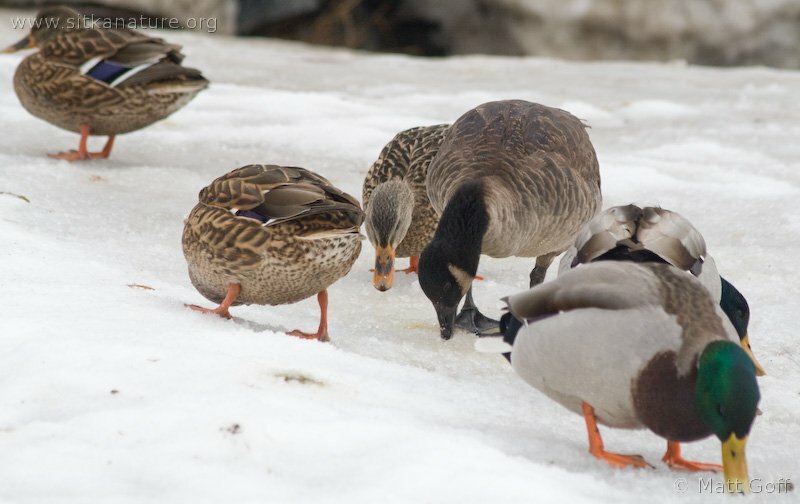 They are not usually seen when the lake is frozen, and it’s not clear where they all go. As I was fairly limited by transportation and time constraints, I did pretty the vast majority of my observating between Totem Park and Eliason Harbor, but was still fortunate to see some unusual birds. 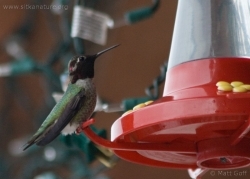 The Cackling Goose and Anna’s Hummingbird were pretty easy to find, since they have consistently been found in the same locations throughout the winter. I was fortunate to see both Common and Thick-billed Murres from the beach at Totem Park on Friday. Though they were fairly distant, this time of year the plumage differences make them much easier to tell apart. I also saw the Western Grebe from the park Saturday. 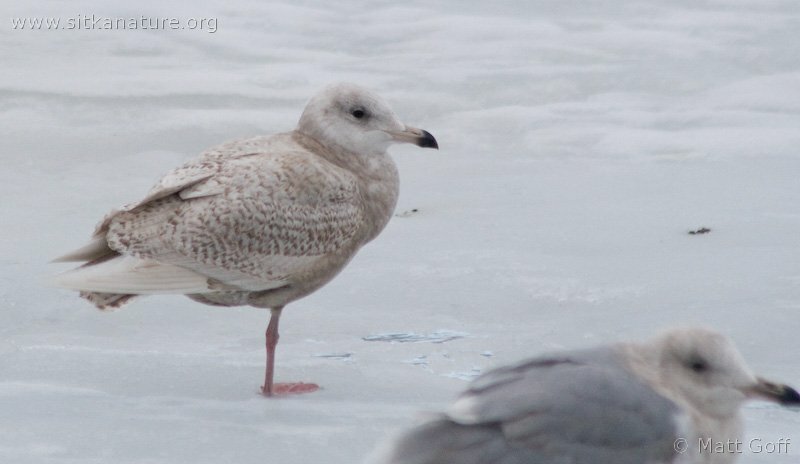 I managed to catch the juvenile Glaucous Gull that’s been hanging around Swan Lake on occasion, and found the park had been invaded by Common Redpolls on Saturday. 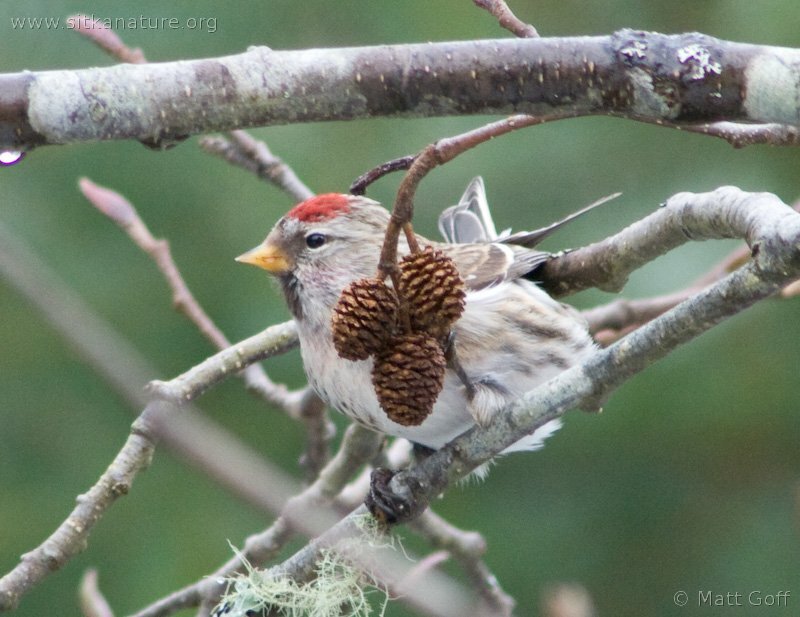 I thought I might have seen a Hoary Redpoll as well, but I wasn’t able to get very good pictures of it, so I did not count it. Pine Grosbeaks have not been around much this winter, but I did run into 6 of them downtown on Monday. I also saw Rock Sandpipers at the base of the bridge on Friday. Finally, and in some respects, the most surprising, I saw the Downy Woodpecker as I arrived at Marge and Tedin’s place, where I hoped to get a chance to photograph the Savannah Sparrow or Fox Sparrow that have been showing up at their place on occasion. I remember seeing a Dipper in the flume at SJ. Do you know if it is still around? Do Dippers stay in a certain area? I would love to find one in Washington–my little “friend” at SJ alway made me smile. Dippers move around a fair bit, plus they apparently don’t tend to live for very many years. I haven’t noticed a dipper on the flume recently, but I haven’t spent much time looking either. Dippers can be found in Washington, as far as I know, but probably more often up in the mountains.